Dog OCD is a real thing. These days, it’s become commonplace to use the term OCD to mean being in a general state of disarray or unable to focus for almost any reason. However, that’s not really what OCD is. OCD, Obsessive Compulsive Disorder, is a mental condition in which the patient is compelled to complete rituals daily in order to maintain their mental composure. Just as the term OCD has become a sort of joke for people, it’s also become a joke for pets. However, just like humans, some dogs actually do have OCD, and it’s definitely no joke. So let’s look at the signs of dog OCD. 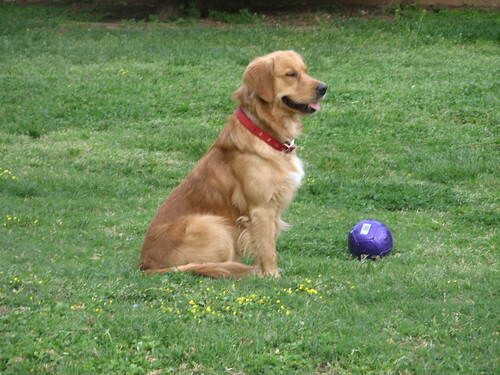 Dog OCD is similar to human OCD in both condition and scope. Just as humans suffering from OCD are compelled to do things like flip light switches a certain number of times, wash their hands in a certain way, or any other of a myriad of rituals, so too, do dogs with OCD do these same things. A dog with OCD will oftentimes do things that would be normal if it weren’t for the frequent, repetitious manner. 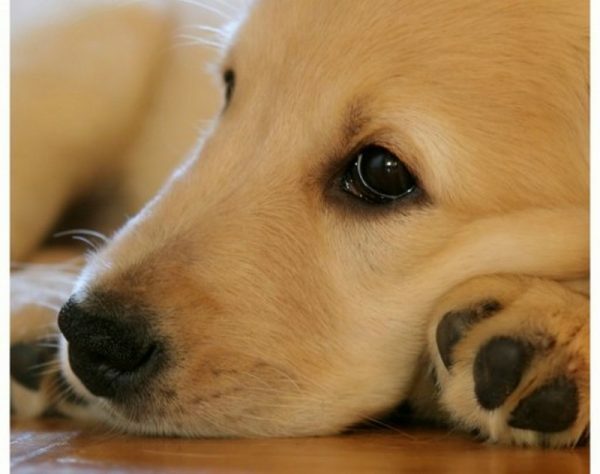 In almost all cases of OCD in dogs, the repetitive behaviors are actually quite normal for dogs and are often seen in small doses among most dogs. However, the trouble starts when these behaviors become frequent, repetitive, ritualistic, and in some cases, self-harming. In most cases, the onset of this condition is seen after the onset of social maturity – generally around 1 to 3 years of age. In addition, dogs suffering from pain, injury, a particular anxiety such as separation anxiety, or a condition which alters their sensory function and/or perception are at an increased risk of developing dog OCD. Again, all of these symptoms are seen in healthy dogs. The key factor is the frequency of the activity, a repetitive nature, and a destructive outcome. Treating obsessive-compulsive disorder in dogs is similar to treating it in humans, and typically requires a combination of behavior modification & medications. Removing the stressor. For example, if your pooch gets worked up when you confine him to his small crate, try moving him to a larger crate or creating a dog-safe room to leave him in when you’re out. Redirect their attention: if your dog gets obsessive about playing fetch, your vet may recommend eliminating fetch entirely and finding another interactive toy to play with together. Tire him out: provide plenty of mental and physical stimulation to help reduce compulsive behaviors. Try a D.A.P. Collar– Healthy Pets by Mercola also recommends trying a D.A.P., aka Dog Appeasing Pheromone, collar, like the kind that Adaptil makes. Medications: in extreme cases where behavior modification alone doesn’t work, your vet may recommend an anti-depressant or anti-anxiety medication for your dog. Up until now, we’ve been talking about the type of OCD in dogs that people most commonly think of when they hear the term, but there’s another type, too. Let’s learn a bit more about that. When most people say “my dog has OCD,” they’re talking about the type of OCD discussed so far in this article. However, the OCD is also the acronym for another disease that affects dogs: Osteochondritis dissecans. According to Dr. Cheryl Yuill of the VCA, “Osteochondritis dissecans (OCD or OD) is an inflammatory condition that occurs when the diseased cartilage separates from the underlying bone. 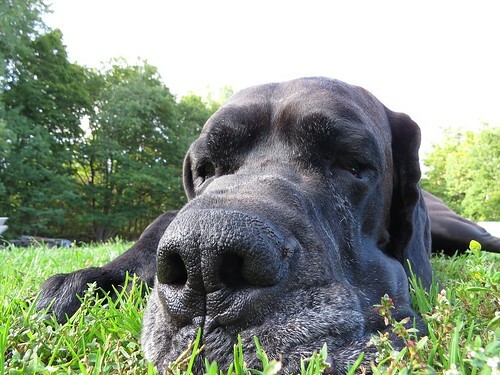 The disease most commonly affects giant breeds, like the Great Dane and Newfie. 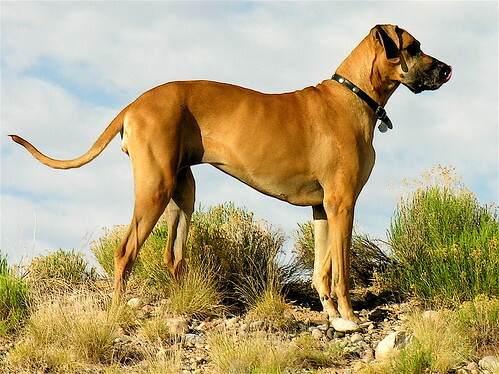 It’s also somewhat more common in large breeds like rottweilers, English Setters, and English Sheep Dogs, according to PetMD. Treatment almost always involves corrective surgery. 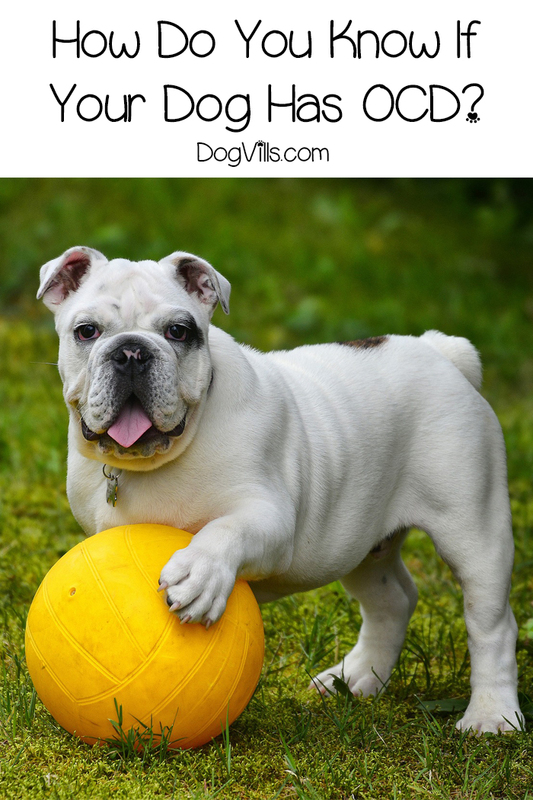 Your vet may also recommend some medications that limit cartilage damage, but surgery is really the only way to correct it. After the surgery, you’ll want to keep your dog calm and quiet for about a month to 6 weeks. Easier said than done, I know, but it’s super important to the recovery process. You’ll also need to take your dog for yearly checkups, which you should already be doing anyway. A proper diet is vital, because too much of certain nutrients can worsen OCD. While we recommend including your vet in planning your dog’s diet even when they’re healthy, it’s absolutely imperative when dealing with Osteochondritis dissecans. When it comes to obsessive-compulsive disorder, it’s important to know the signs of dog OCD and be aware of your dog’s behavior at all times. This is especially true if your dog is between 1 to 3 years of age, has a separate anxiety issue, or has a sensory deficit. These are all risk factors for dog OCD. By being aware, you can spot the condition early should it present itself an take appropriate action with your vet’s help. Knowing the signs of osteochondritis dissecans is also vital so that you can catch it early and save your dog from a lifetime of pain! Have you ever dealt with either of these forms of dog OCD,? Share your tips and experiences below!